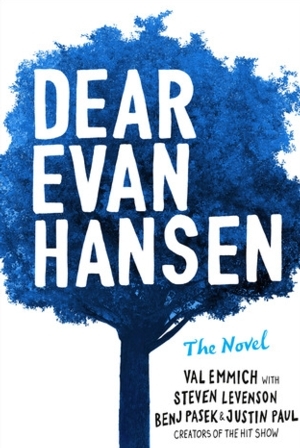 Wed, October 10, 2018 7:30 P.M.
Join us for an exciting evening of conversation and live musical performances from the Tony, Oscar® & Golden Globe-winning team behind the musical, “Dear Evan Hansen.” Benj Pasek, Justin Paul, and Val Emmich will present Dear Evan Hansen: The Novel, an expansion of the characters and story popularized by the musical that has been praised as “one of the most remarkable shows in musical theater history” by The Washington Post. Fans will receive a raffle ticket with each book purchased. Raffle tickets enter fans into a drawing for an exclusive meet & greet with the authors immediately following the event. The authors will then choose 5 lucky readers (+1 guest each) to meet them after to snap photos and have their books personalized. A pre-signed book comes with each auditorium ticket. You will collect your book (with your raffle ticket) when you enter the auditorium.